Zooming in Photoshop is as simple as clicking on the magnifying glass in the Tools panel. But as a beginner, you may need to do all kinds of zooming in and out, in which case you can increase your Photoshop productivity 6 Photoshop Productivity Tips For Pixel Artists 6 Photoshop Productivity Tips For Pixel Artists Some may think that Photoshop is overkill for pixel art, but if you set it up properly, it can boost your productivity to new levels. Read More using these nifty zoom tips and tricks. You can use the Zoom tool or View > Zoom in and View > Zoom out to view parts of an image. But for the sake of speed, use the Keyboard shortcuts for Mac (Command + Plus and Command + Minus) or Windows (Ctrl + Plus and Ctrl + Minus). There are several different ways to zoom and different keyboard shortcuts associated with them. The maximum magnification level is 3,200% and the minimum is 1 pixel. You will notice the empty magnifying glass icon when you read those levels. 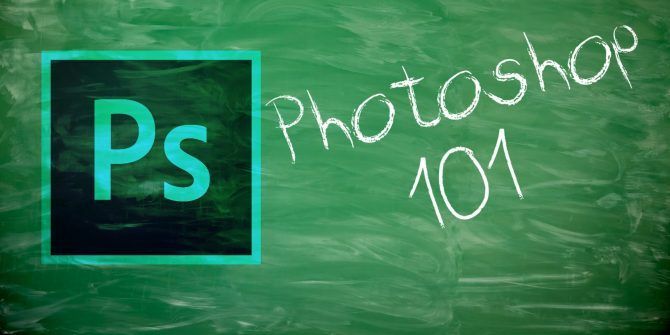 Besides the basic zoom, Photoshop also gives you a few more ways to view an image. Use Animated Zoom when you want to zoom into a pinpointed location in your image quickly. Click and hold the mouse over the point in the image you would like to zoom into. The image will continue to zoom as long as you hold down the mouse button. Press Alt (Windows) or Option (Mac OS) to zoom out. If this does not work in your case, go to Photoshop > Preferences > Tools and check if Animated Zoom is enabled. You can move around a large image with the help of a temporary marquee. The temporary zoom function helps you jump from any other tool to a specific part of the image. Hold down the H key. Click in the image and hold down the mouse button. The current tool changes to the Hand tool. If the whole image isn’t visible, the image zooms out. Drag the rectangular zoom marquee to a different part of the image and it automatically zooms in. Release the mouse button and then the H key. The image reverts back to its last magnification and tool. The red-colored box is a handy way to quickly go to different parts of an image. Photoshop calls it the Proxy View Area. Go to Window > Navigator to display the Navigator panel. To move around an image, drag the red box in the image thumbnail. Also, click the image thumbnail to set the viewable area. The Zoom slider also helps you change the magnification of the image quickly. What is your preferred way to use the zoom in Photoshop?